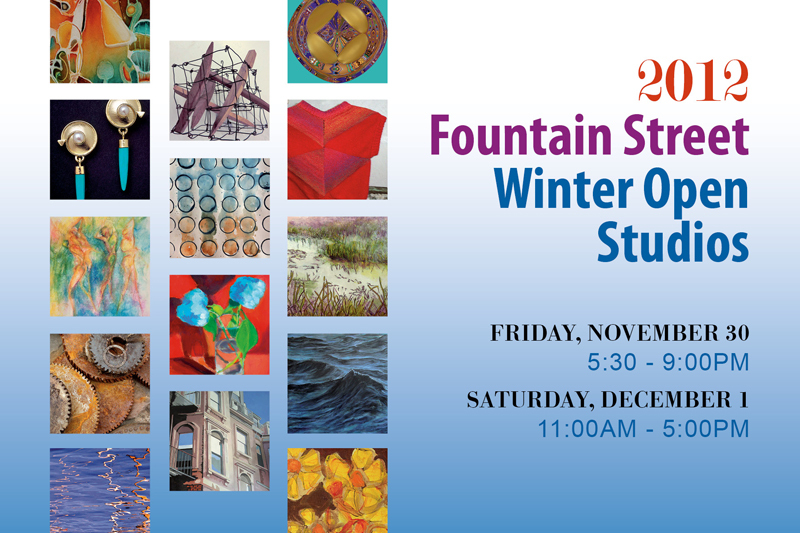 Come visit during our next Open Studios! I’m on the third floor east, studio no. 9. 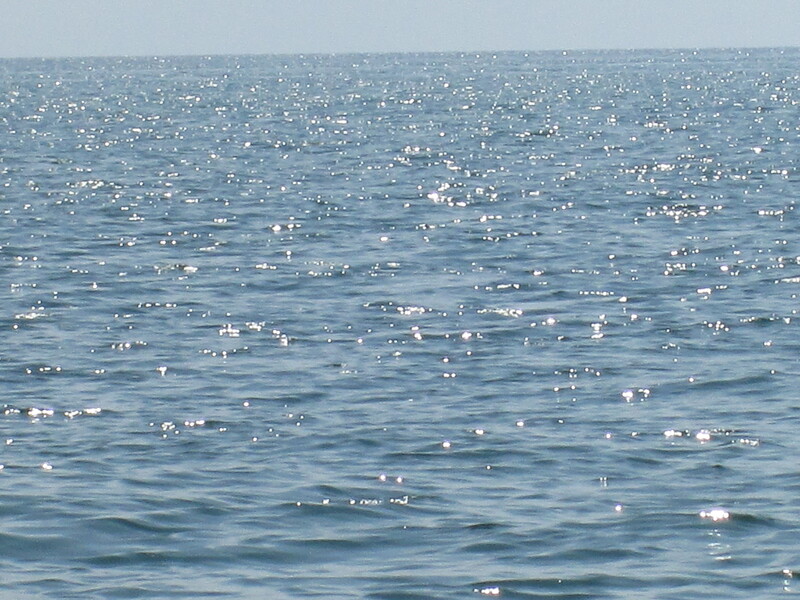 I’ll be showing work from my solo exhibit “Voyage”, exhibited September, 2012 at Galatea Fine Art, Boston. A change of scenery does wonders for recharging. 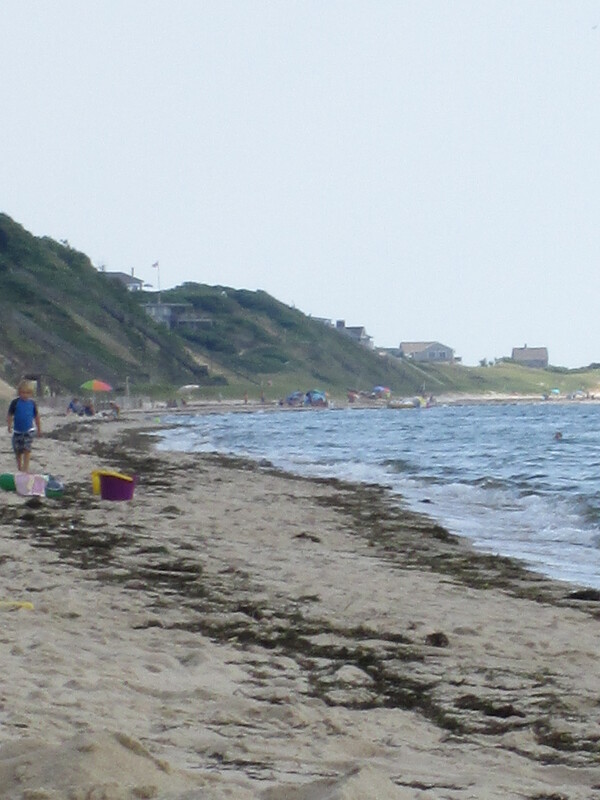 Truro is my favorite beach town, Beautiful & quiet, yet minutes from the ever-busy Ptown. Two of my recent paintings, Dazzle and Stormy, were accepted in the Members Juried I exhibit at the Concord Art Association, juried by Kathleen O’Hara. The shows runs through February 19, 2012. My two paintings are far right in this shot from the Opening Reception. 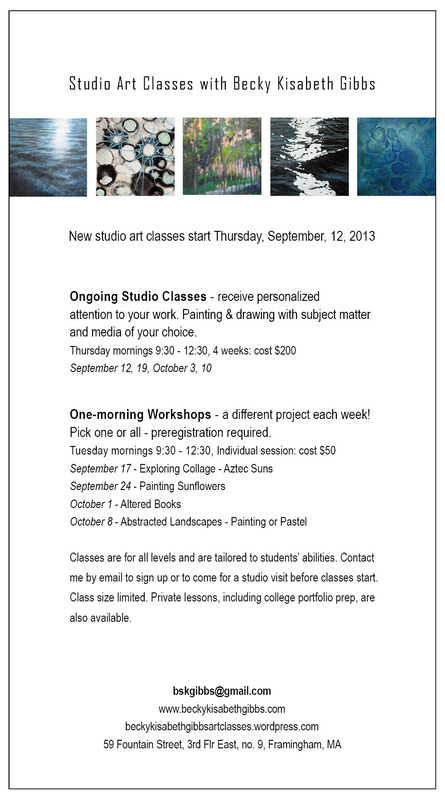 New workshops for Fall 2011! 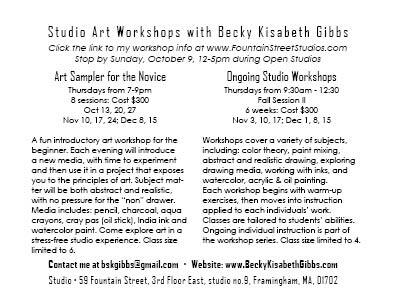 A fun introductory art workshop for the beginner. Each evening will introduce a new media, with time to experiment and then use it in a project that exposes you to the principles of art. Subject matter will be both abstract and realistic, with no pressure for the “non” drawer. Media includes: pencil, charcoal, aqua crayons, cray pas (oil stick), India ink and watercolor paint. 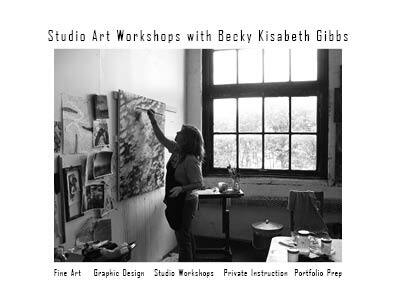 Come explore art in a stress-free studio experience. Class size limited to 6. Workshops cover a variety of subjects, including: color theory, paint mixing, abstract and realistic drawing, exploring drawing media, working with inks, and watercolor, acrylic & oil painting. applied to each individuals’ work. Classes are tailored to students’ abilities. Ongoing individual instruction is part of the workshop series. Class size limited to 4. Contact me @ bskgibbs@gmail.com to sign up. Thanks to everyone who came by last weekend for Open Studios. Fountain Street was hoppin’ with visitors, and it was great to see old friends and meet lots of new folks. My new work got alot of good feedback and my installation was met with alot of smiles. I’m still collecting old video tapes if you have some you’d like to get rid of! The next session of my workshop starts Thursday, April 28, 9:30am-12:30. Everyone is gearing up for our annual Open Studios. I’ve got a few paintings in progress that I hope to finish, but lots of other work to show as well. Stop by if you can! Categories: Art, Becky Gibbs, Painting | Permalink.